Yes your eyes are not decieving you, but for once I am on the ball with my July favourites!!! I can't get over how fast this year is going over- its Holly's wedding 3 weeks on Saturday!! Not much to mention from the weekend haha, I'll do an outfit post for you tomorrow probably. Oh don't ever get on the wrong side of JEM, it all kicked off on my facebook yesterday haha. Pure comedy genius. Also who ate all the pies- muhahahahaha. Anyhoo what have I loved (and loathed) in July. 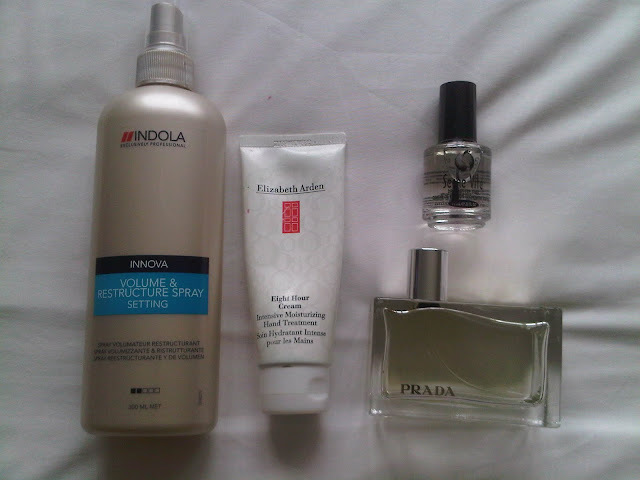 Innova Volume and Restructure Spray- I recieved this last week in the post, and used it on my hair before going out on Saturday night. Unfortuately due to it being so hot and sweaty when I was out on Saturday my hair has dropped in the photos. However combing my hair yesterday morning- my hair was MASSIVE. Big hair without the need for heat/back combing. Full review to come on this. Elizabeth Arden 8 Hour Hand Cream- getting a bit sick of using Soap and Glory Heel Genius on my hands, so I've switched back to using this. Like the original 8 hour cream it works wonders on dry hands, and cuticals. It may be expensive but if you search around you can normally get it much cheaper. Prada eau de parfum- my new work perfume, very strong smelling, more of a wintery/going out fragrance. But as the scent lasts all day I prefer to use it for work. Seche vite quick drying top coat- I know this product has caused a bit of controversy on the blogging front. Some of yous love it, other hate it. For me I am loving it- it keeps my nails looking decent for a night out. However come the next day it does have a tendancy to chip- I've had this on since saturday and my nails haven't chipped (yet). I got mine for £5 off ebay, basically a similiar amount to what you would pay for a normal base/top coat. I wouldn't pay full price for this. 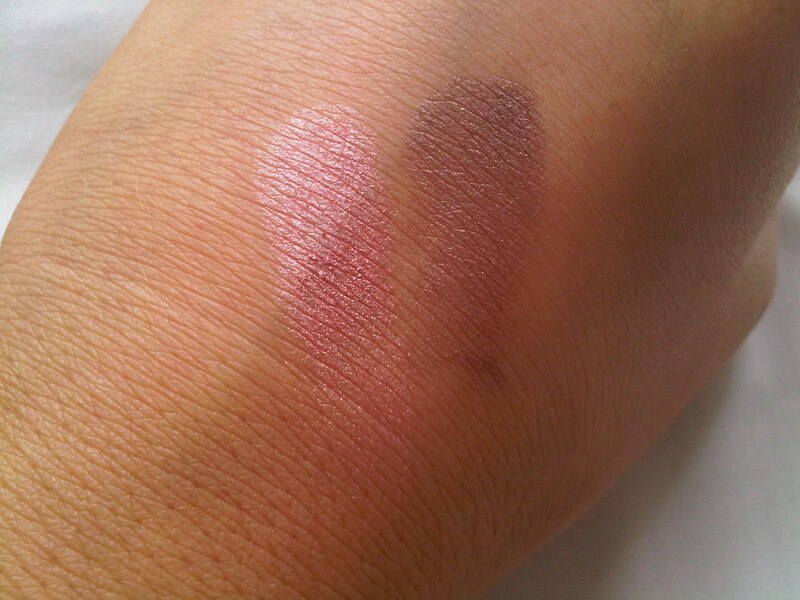 Mac eyeshadow- Satin Taupe- Old faithful eyeshadow. This colour looks fab in a smokey eye with print. Falsifeye mascara- my new work mascara. Makes me look half decent and awake on a morning. Not keen on it for a night out, but for during the day its fab. Mac 219 pencil brush- if you don't have this brush in your make up collection. Buy it now. I'm 99% sure I mentioned on here how I lost my original one in the loos in Buddha one Christmas, and this is the one make up brush I can't live without. Well worth the money. 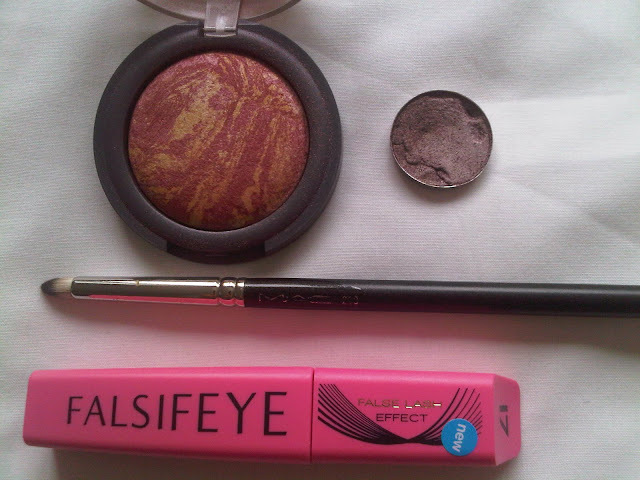 Accessorize Mineralize Blush in "Scandal"- I finally managed to use alll of my Collection 2000 blush, and I bought this as my new work blush. 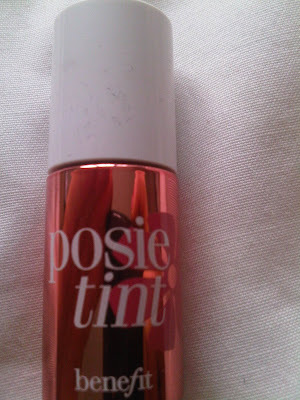 For £5 I think this is excellent value, as its bigger than a Mac Mineralize blush for a 1/3 of the price. I'd heard rumours that the Accessorize make up line was going to be discontinued? Hopefully this is just a rumour though. This will not work at all on my skin, pink only shows where I put the brush, when I work it into my skin, it has zero effect. Think this will just be getting used as a lip tint :( (good job its just a sample). I love posie tint! It's one of my fave things to use! I'm not too fussed about the No.17 mascara, I prefer my Bourjois mascara - everyone keeps asking me whether I'm wearing false eyelashes whenever I wear this mascara! !